The largest contingent of local participants ever, with more than 200 volunteers from the Fairfield area, will volunteer a week of their summer vacation to participate in the Appalachia Service Project. The trip is sponsored annually by Greenfield Hill Congregational Church. 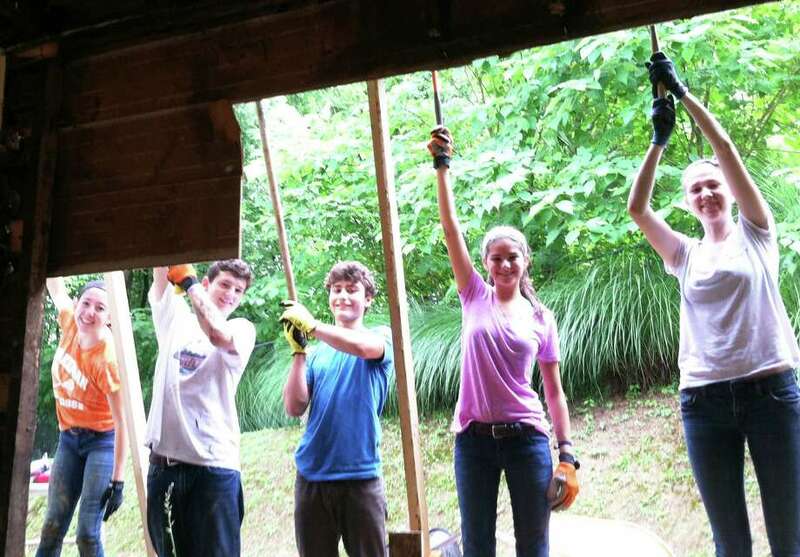 On the trip, youth volunteers and chaperones from Fairfield and surrounding towns participate in a hands-on home repair and home building ministry that was founded to help low-income families in rural central Appalachia. The group of 155 youths and 64 adults left from the church Saturday, traveling to rural Appalachia to spend a week repairing homes. The crews from the church will be volunteering in West Virginia's Wayne and Logan counties and the Tri-Cities area of Tennessee. The trip is organized by Greenfield Hill Congregational Church's co-pastor, the Rev. Alida Ward. "We work with a wonderful organization, ASP, which has always believed in the capacity of young people to do more than they ever thought possible," said Ward. "By the end of the week, they find that they have not only fixed a home, but that they have also discovered their own capacity for compassion, and for hard work." The teens are all members of the Greenfield Hill Congregational Church high school youth fellowship. The group welcomes teens from other towns and across all denominations. Many of the volunteers from the church are making a return trip to Appalachia. James Mangan, a student at Fairfield College Preparatory School, said he decided to volunteer on the ASP trip this year because several of his friends had such a positive experience on previous missions. He sees the week in Appalachia as a chance to connect with individuals who have less than he does, he said. "ASP is by no means a vacation and it requires a lot of hard work on everyone's part, but I was truly moved by how, without fail, every single one of my friends who went last year recommended I sign up," Mangan said. The teens raise the funds to travel to Appalachia through several fundraisers including selling food at the annual Dogwood Festival and an annual Appalachia Service Project auction that was held in March.